Role: Assist archaeologists with digs and other activities to preserve local history and culture. One of the best ways to get in touch with a country and its people is by understanding its past. Volunteering abroad on one of our archaeology projects in Romania is a great way to discover their rich histories. You can choose to spend time in either Romania excavating ruins in the thrilling region of Transylvania. You don’t need any previous archaeological experience to join one of digs and they run all year long. Romania offers magnificent sights for anyone interested in archaeology and will be a great adventure! In Romania, volunteers are based in various locations, including the ancient city of Brasov. Volunteers work with Romania's Museum of History where they investigate ancient Dacia and the medieval environs of Transylvania. By taking part in volunteer archaeological work in Romania, you will gain hands on experience and learn many practical skills relevant within the field. Volunteers work on excavation and restoration sites in the region around the city. At the beautiful sites of Alba-Iulia, Bordusani-Popina, Harsova and Bunloc, volunteers dig, clean and reconstruct pottery-pieces, tools or other items that have been found there. 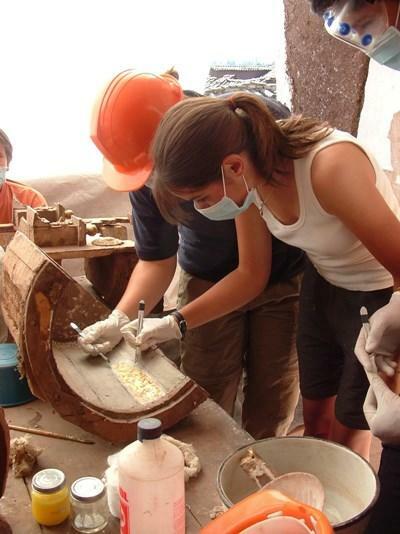 Our Inca Project is a great choice if you are interested in both archaeology and the history of the Inca civilization – and if you don't mind getting your hands dirty! While living the lifestyle of the local Peruvian people, you can gain hands on experience in a range of archaeological and historically related work as well as help with local community projects. Working on an Archaeological Project in Romania can be physically demanding and hard work. Being able to take part first hand in an exciting project will be something you’re bound to never forget. As you’re discovering new historical objects in Transylvania, you can be sure an archaeological project abroad will full of new experiences! For teen volunteers, Archaeology projects are available as Archaeology High School Special programs. High School Specials are designed for volunteers aged 16-19 to join a group of their peers working together under the guidance of our local staff. If you are a professional and want to put your skills to use on a Archaeology project, Projects Abroad has a skilled and qualified arm called Projects Abroad PRO. Our main focus is to match your skills with our partner organizations' needs. 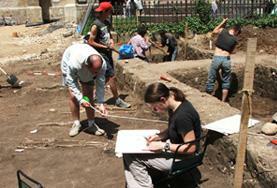 Please visit the Archaeology Projects for Professionals section for more information. On the Archeology project in Romania, you will gain hands on experience and learn many practical skills relevant within the field of archeology. Volunteers work on excavation and restoration sites around the city of Brasov, digging, cleaning, and reconstruct pottery-pieces, tools, or other items that have been found there. 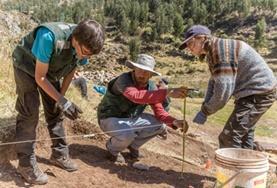 This project is a great choice if you are interested in developing skills in the field of archaeology and learning about the history of the Inca civilization. You will get involved in various activities, gaining hands on experience in a range of archaeological and historically related work as well as help with local community projects.